编码： 9787119111612. 分类： Current Leaders, New Titles. 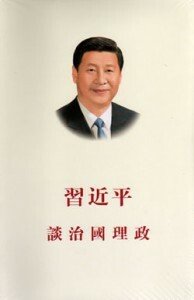 Since the 18th National Congress of the Communist Party of China (CPC) held in 2012, the Central Committee with Xi Jinping as general secretary has led the whole Party and the people of China in the drive to realize the Two Centenary Goals and the Chinese Dream of national rejuvenation. In pursuit of these goals the country has upheld and developed socialism with Chinese characteristics, advanced the Five-point Strategy and the Four-pronged Strategy in a coordinated and integrated manner, and achieved historic progress in reform and opening up and socialist modernization. We have braved new challenges, blazed new trails, resolved long-standing and complex problems, realized long-sought objectives, championed the causes of the CPC and the country, and brought Chinese socialism to the threshold of a new era. In the governance of the country, China’s Communists headed by Xi Jinping have kept pace with the times, and provided systematic answers, both theoretical and practical, to two critical questions of this new era: What is the socialism with Chinese characteristics that we should uphold and develop? How are we to achieve it? Together they have created Xi Jinping Thought on Socialism with Chinese Characteristics for a New Era as a guide to action in the decisive stage of completing a moderately prosperous society in all respects, in striving for great success of socialism with Chinese characteristics for a new era, in achieving the Chinese Dream of national rejuvenation, and in realizing the people’s aspirations for a better life. They have also contributed Chinese wisdom and Chinese solutions to building a community of shared future for mankind and promoting world peace and development. Xi Jinping is the principal proponent of Xi Jinping Thought on Socialism with Chinese Characteristics for a New Era. The 19th CPC National Congress has recognized its worth as the latest milestone on the road that the Party will follow for the foreseeable future. Xi Jinping: The Governance of China was published in September 2014, as a collection of important speeches and written works by Xi Jinping covering the period from the end of the 18th CPC National Congress until June 2014. The book attracted widespread attention, and has been highly acclaimed by many Chinese and foreign readers. In the intervening period Xi Jinping has continued to explore the governance of China in the new era, providing a series of new concepts, ideas, and strategies which add further depth and innovation to the Party’s theoretical base. 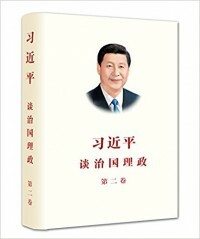 To reflect the evolution of Xi Jinping Thought on Socialism with Chinese Characteristics for a New Era and to help Chinese and foreign readers gain a full appreciation of the depth and innovation that it offers, the State Council Information Office, with the support of the Party Literature Research Office of the CPC Central Committee and China International Publishing Group, has compiled a second volume of The Governance of China. 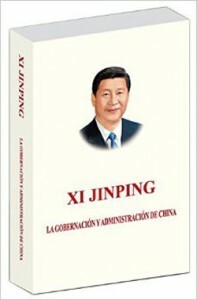 This new volume contains a compilation of 99 of Xi Jinping’s spoken and written works from August 2014 to September 2017, along with 29 related photographs. It is divided into 17 sections by topic, with the articles in each section arranged in chronological order. For ease of reading, notes have been added at the end of each article.